Seven grams (1/4 oz) of Wild Lettuce, aka Lactuca virosa, from Juicy Herbs. Wild lettuce is not a vegetable but actually a woodland member of the sunflower family. Wild Lettuce is known for it’s relaxing and mild sedative effects. Juicy Herbs includes a free pack of Juicy Jay’s flavored rolling papers in each resealable pouch! Ready to roll up and smoke these herbs if that's what you want to do. I like the product a lot I couldn't roll it very well tho..
Placed at 1percent, great customer service, I called their number because they had called me about a layment issue and the woman was awfully nice and got it resolved in under 2 minutes (kid you not) and assured me my package/order was confirmed and on track to arrive on time and it did. 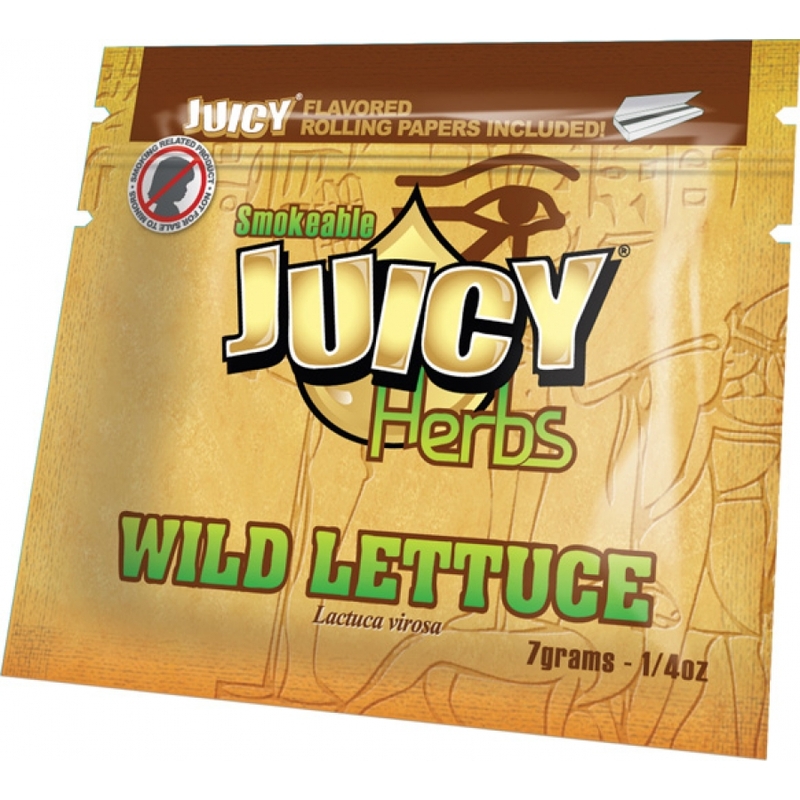 Anyway great product from a great site, will buy juicy jay herbs again but i think ill try a different one other than wild lettuce just to try variety. And will be ordering from 1percent most likely exclusively unelss i found a really killer deal on products elsewhere.